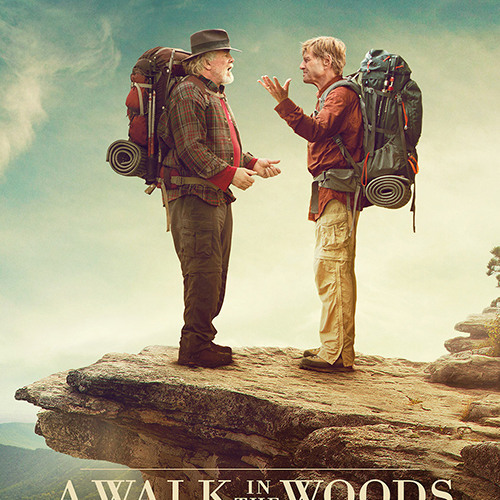 This Labor Day weekend, Hollister and O'Toole take A Walk in the Woods with screen titans Robert Redford and Nick Nolte - based on the bestselling book of the same name by travel writer and memoirist Bill Bryson ("The Life and Times of the Thunderbolt Kid"). Co-starring Oscar Winners Emma Thompson and Mary Steenburgen. Cameos by Nick Offerman (Parks and Recreation) and Gaia Wise (Emma Thompson's real-life daughter fleetingly plays her on-screen daughter). And introducing, of course, the spectacular 2200-mile Appalachian Trail. At its heart, this Odd Couple-Buddy Movie is really a comedy about friendship - and getting back up when you fall down. Sometimes it's the people you think about the least who surprise you the most. Lace up your boots, grab a backpack of popcorn, and come along for the ageless ride.